I have been helping clients achieve their financial goals for over 17 years. My staff and I manage over $80 million in assets for over 300 clients. Each of our advisors has extensive personal and professional experience. Many hold various professional designations, and qualified representatives are registered and/or licensed to sell a variety of investment and insurance products. 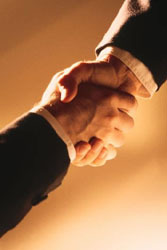 We are dedicated to developing lasting relationships with all our clients. We believe in helping you assess your financial goals and participate in the management of your finances. One of the benefits of working with us is our ability to provide clear, easily understood explanations of financial products and services. The personalized program we provide is designed to help you work toward an independent financial future. We’re looking forward to using our expertise to help you pursue your financial goals.